Derms address this beauty myth. A few of us at The Huffington Post rely heavily on face cleansing brushes to remove a day's worth of makeup and environmental debris. They're lifesavers when you feel too tired to wash your face before bed. But there's been a couple of instances when we've noticed that our freshly-buffed faces started to break out or turn really red. Curious as to whether the face cleansing brush was doing more harm than good, we asked two dermatologists to explain what exactly was going on with our skin. 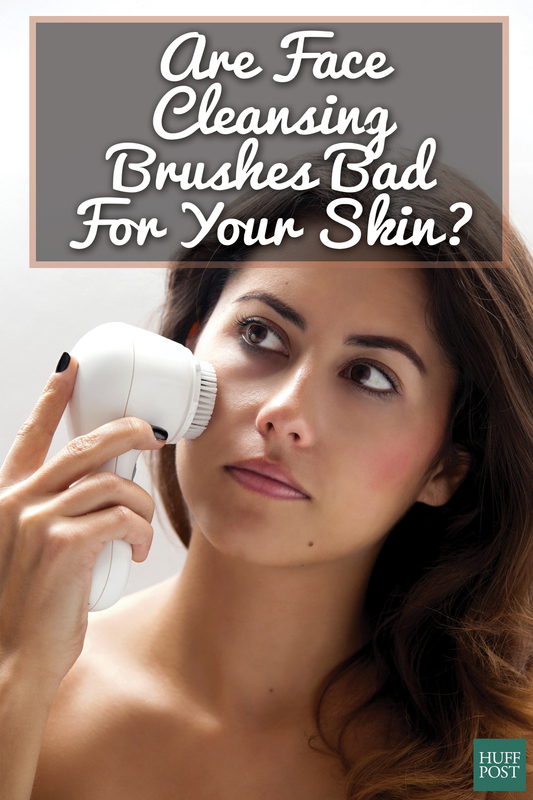 Three other face cleansing brush sins we -- and you -- might be committing: Using it too frequently (nighttime cleansing is ideal to rid the skin of debris and sebum from the day), sharing it with your family and friends, or using it in combination with a manual or chemical exfoliant. In order to treat problem skin, Dr. Gross suggests using calming products that contain green-tea extract. "It soothes the skin and studies show it can help prevent skin cancer. Bisabolol is another effective anti-inflammatory ingredient derived from chamomile, which will alleviate redness and reduce inflammation. Licorice root extract and cucumber extract also work." Have you ever broken out from using a face cleansing brushes? Share your experiences in the comments section below.